Vanguard Oil Tools and Services LLC, an Omani company registered in 2010, were privileged to receive HE Salim Al Aufi, Undersecretary at the Ministry of Oil and Gas at its Muscat site on 8th May 2018. During His Excellency’s visit, the Vanguard Oil Tools team presented the company’s facilities for design, engineering, manufacturing, assembly and qualification testing, which has produced a complete range of Liner Hanger and Completion equipment for installation in over 1000 wells in the Sultanate of Oman since 2012. 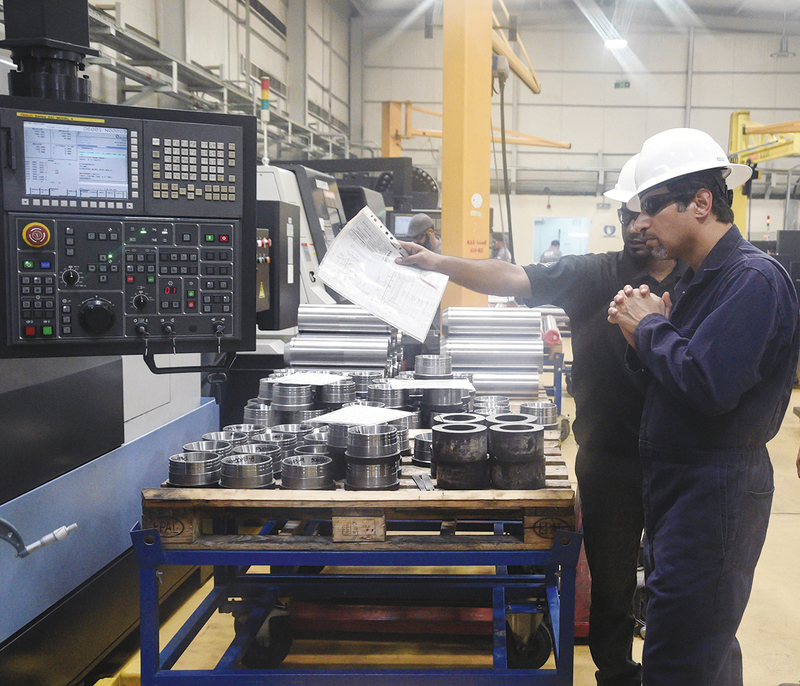 The company has a strong focus on R&D and more than 10% of the staff is active in the area of R&D, all located in Oman. Important parts of the company’s equipment have been granted patents in Europe and North America, a proud achievement for an Omani company. His Excellency took great interest in this subject and in discussing with Vanguard Oil Tools’ staff on technology development. The company has recently joined the EJAAD joint technology development platform between academia and industry. Continued innovation and product development is a clear objective in order to further promote Oman’s locally made oilfield products across the Middle East and International arena. Mr Firoz bin Ismail Badar al Deen, Chairman of Vanguard Oil Tools presented H.E Salim Bin Nasser Al Aufi with a model of the company’s first patented product, the Thermal Expansion Casing Collar. Over 12000 of these unique products have been installed in wells in Oman with great success. His Excellency was also informed that Vanguard Oil Tools and Services has been the first local company in Oman to export complete high temperature completion products to the USA, Kazakhstan and Bahrain, all of which were developed and made in the Sultanate of Oman. Currently, Vanguard Oil Tools and Services has an Omanization of 75% and procures close to all its product and service requirements in-country. Since opening in 2010, the company has not had any lost time incident or accident, a key achievement important for owners, customers and employees alike.